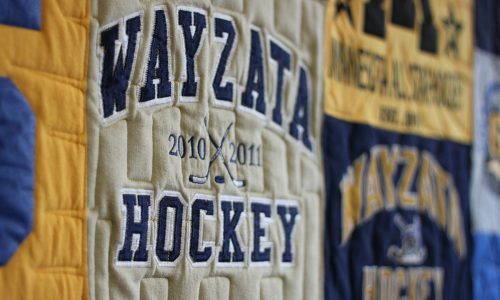 Our t-shirt quilt company is dedicated to making the highest quality custom t-shirt quilts available on the market by stitching together t-shirts, jerseys, sweatshirts, sweatpants and other fabric-based memorabilia. Minnesota T-Shirt Quilts provides a warm, soft, decorative keepsake that forever encapsulates your memories, achievements, and experiences. We take great pride in our attention to detail throughout the entire process of designing, sewing, and quilting. The result is the finest quality t-shirt quilt on the market. The quilt arrived today and it is spectacular! Everyone oohs and ahhs! It’s a masterpiece. Thank you for making such a work of art. My name is Nancy Tokar and I am your custom t-shirt quilt maker! I have been making t-shirt quilts since 2011 and have created over 500 quilts during that time. My first t-shirt quilt was created for my son Coleman’s high school graduation and the response was so positive from family and friends that I continued to make them. 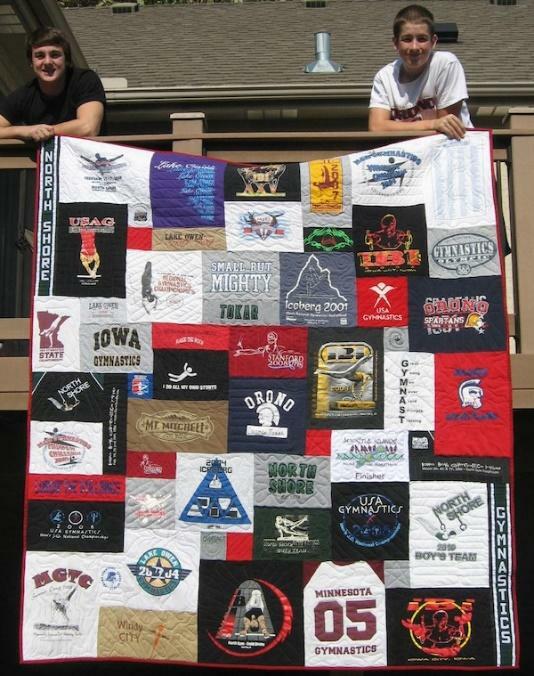 Whether it’s a t-shirt quilt for graduation, or a quilt that incorporates race shirts, vacation memorabilia, a loved one’s article of clothing, or a mixture of them all, I take each person’s quilt as an opportunity to create a keepsake they can cherish. It’s important to me that every customer is 100% happy with their quilt. I have definitely found my passion and I am delighted to make your quilt for you. 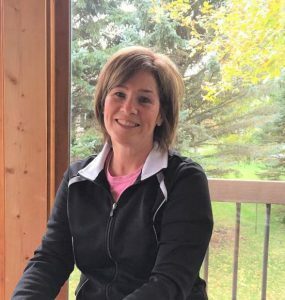 Minnesota T-shirt Quilts is located just west of the Twin Cities, in Maple Plain, MN. However, we accept and ship orders throughout the United States. The quilt arrived and is spectacular! Everyone oohs and ahhs! It is a masterpiece. Thank you for making such a work of art!